If you like luxury ánd adventurous camping, choose a Safaritent for your glamping holiday in Italy! The Safaritent is luxurious and spacious, but does give the real camping experience as well. The Safaritent is situated in different regions of Italy like Tuscany, Umbria and Lake Garda. Discover the adventurous variant of glamping in Italy by staying in a Safaritent! Glamping is the ideal way to enjoy the freedom of camping in the beautiful nature of Italy, yet still be able to enjoy luxury and comfort! 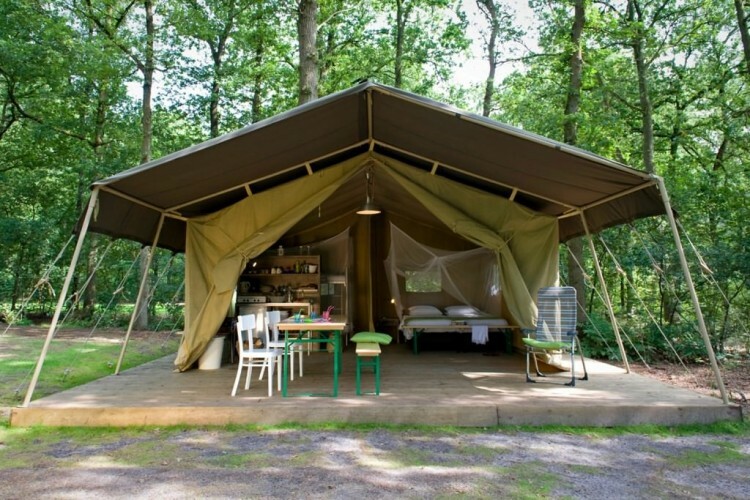 The Safari tent in Italy can completely open up at the front and has a kitchen with gas stove and fridge/freezer. Lighting and power. No running water. There is a master bedroom with a double box-spring bed and a children’s room with bunk beds. Garden furniture is available in the Safari tent. A variant of 42 m² is available on a number of campsites. 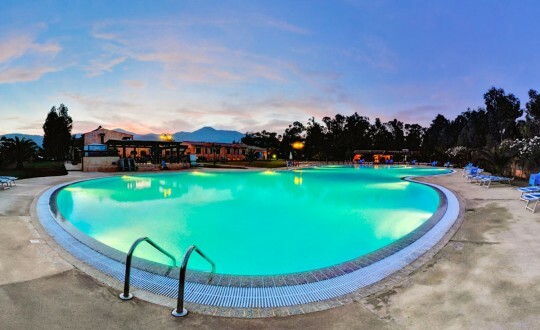 This Safaritent does have private sanitary facilities, including running water! The campsites offering a Safaritent in Italy are mostly situated by a lake or on the coast. Do you prefer camping in the middle of Italian nature? Book a tent in Marche, Umbria or Toscane, where the campsites are situated in the middle of the beautiful hills of Toscane. All campsites have lots of facilities for children and are perfect for families. Your whole family will have lots of fun on one of the campsites in Italy. Would you like to go luxury camping in one of the luxury Safaritents in Italy? Glamping is the ideal way to enjoy the freedom of camping in the beautiful nature of Italy, yet still be able to enjoy luxury and comfort! Curious about the different campsites in Italy? Check out the possibilities and rent a Safaritent in Italy now!